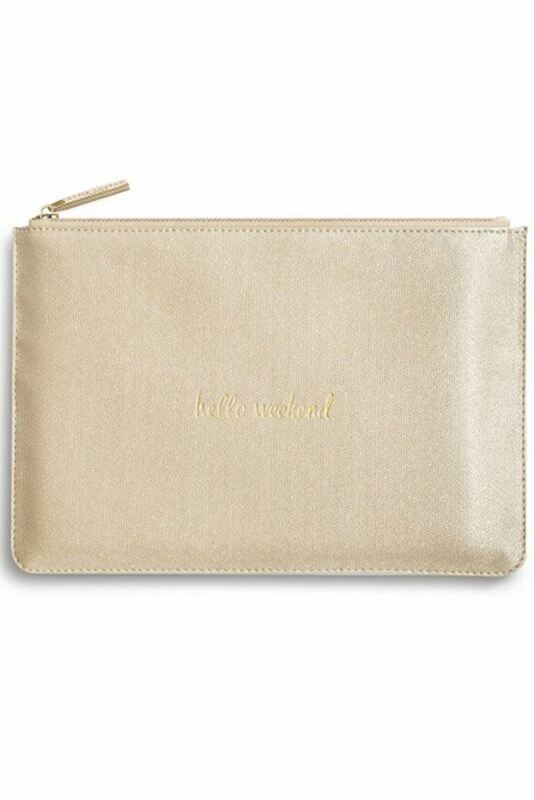 This ‘Hello Weekend’ shimmering gold pouch is the perfect accessory to see you through any weekend! This ‘Hello Weekend’ shimmering gold pouch is the perfect accessory to see you through any weekend! Be sure to shimmer through winter with this shiny gold pouch.